Michael Hoey can see a big future for pro golf in Northern Ireland. Picture Stuart Adams www.golftourimages.comMichael Hoey believes moves will be made to turn this week’s inaugural Northern Ireland Open Challenge Presented by Clannah and XJET and permanent dual-badge event on the European and Challenge Tour circuits. Hoey is one of 24 Irishmen, drawn evenly from the North and Republic of Ireland, who will tee up at the Country Antrim venue. And given the appetite in Northern Ireland for tour golf that was whetted by last year’s sellout Irish Open at Royal Portrush, he knows that moves are afoot to build on this week’s event and make tour golf a regular happening north of the border. “This tournament is feeding off the Irish Open success, where there were 130,000 spectators last year,” said Hoey, whose most recent victory came in the M2M Russian Open at the end of July. “I think the government felt like there should have been a follow up to that and wants to try to get a European Tour event in two or three years’ time and move it to co-sanctioned. Speaking at last week’s Johnnie Walker Championship, where he finished 28th, Hoey added: “Pro golf is tough and being able to play these tournaments, you look back at the days on the Challenge Tour and realise that was tough, not playing for a lot of money. We are fortunate. “I have played Galgorm Castle three times on sponsors day and once before that. It’s a good course, a pretty place, a really good facility. While Hoey would dearly love to add to his tally of three Challenge Tour titles, much of the Ulsterman’s focus this week will be on his ambassadorial role for the €170,000 event. He said: “I was more than happy to be the face of the tournament, and it’s a real honour and privilege to be able to help out the government and the Challenge Tour. I played on the Challenge Tour for a few years so I know how tough the competition is, and I’ll have to play very well just to contend. “Some of the winning scores on the Challenge Tour this year and last have been unbelievable, so I’m under no illusions as to how difficult it’s going to be to get in contention, let alone win. There’s a huge difference in the standard from when I was playing five years ago to now. “But my main aim this week isn’t necessarily to win the tournament – the main goal is to be an ambassador for the tournament. Hopefully everyone likes the venue, and we can have a great week. “I’ve played the course three times on sponsors’ days this year, so I know it well. It’s a good parkland course and it’s in a beautiful location, so I’m sure the guys will enjoy playing there. Calgorm Castle Golf Club’s touring professional Shaw will hope to build on some noteworthy results this season, with the highlight a top five finish in The Irish Open in June. The Lurgan man will be joined in County Antrim by his compatriots Paul Cutler and Alan Dunbar, the latter of whom won the 2012 Amateur Championship at Royal Troon. The duo formed a dynamic pairing in the 2011 Walker Cup, winning both their foursome matches as Great Britain & Ireland defeated their American counterparts 14-12 at Royal Aberdeen Golf Club. Other notable names in the field include in-form Portuguese José-Filipe Lima, currently second in the Challenge Tour Rankings thanks to a series of eye-catching performances which includes a tied third place finish at last week’s Rolex Trophy; and Frenchman François Calmels, bidding to gain instant promotion to The European Tour with a third victory of the season. This week’s tournament will mark the first Irish Challenge Tour event since the 2009 Challenge of Ireland while the last time Northern Ireland hosted a Challenge Tour event was in 2003, when Darren Clarke won the Benmore Developments Northern Ireland Masters. Multiple European Tour Winner Michael Hoey and Christopher Brooke, Galgorm CastleMichael Hoey will head the field when the Challenge Tour returns to Northern Ireland for the first time in a decade with the €170,000 Northern Ireland Open Challenge at Galgorm Castle. Galgorm Castle touring professional Gareth Shaw is hoping for a big week in the Northern Ireland Open Challenge. Picture © Getty ImagesPreparations are complete and the waiting is over. 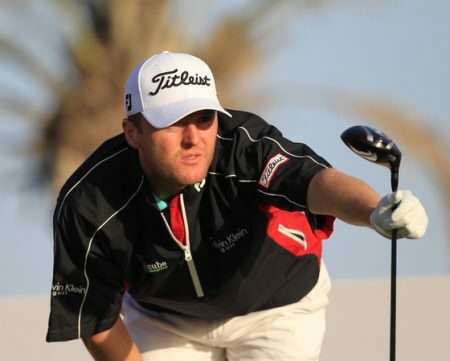 Gareth Shaw and 24 other Irish competitors will tee it up in one the strongest fields of the season in the €170,000 Northern Ireland Open Challenge, presented by Clannah and Xjet, at Galgorm Castle Golf Club tomorrow. Michael Hoey’s ride for the week - a Lamborghini Gallardo Superleggera LP570-4, a piece of machinery that can reach 62mph in 3.4 seconds and a top speed of 202 miles per hour. It’s not every week on the Challenge Tour that a player arrives at a tournament in a Lamborghini, but Michael Hoey did exactly that as he roared into the car park of the Galgorm Castle Golf Club for the Northern Ireland Open Challenge presented by Clannah and XJET, writes the European Challenge Tour. The European Challenge Tour has announced its 2014 schedule featuring 25 events in 20 countries with the €170,000 Northern Ireland Open Challenge set for Galgorm Castle from August 28-31.